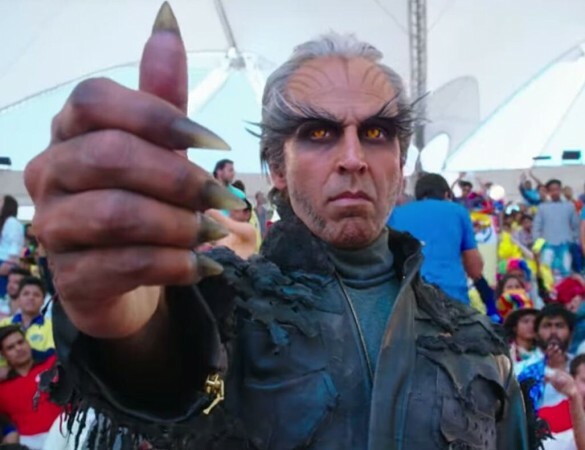 Rajinikanth and Akshay Kumar's 2.0 has grossed Rs 14.59 crore at the Chennai box office in 1st-week (8 days). After crossing Rs 1-crore mark for seven days in a row at the Chennai box office, the collection of Rajinikanth's 2.0 has been reduced to seven digits on Friday, 7 December. The movie has ended its first-week on a positive note in the capital city of Tamil Nadu. On Thursday, Rajinikanth's 2.0 has grossed Rs 95 lakh at the Chennai box office. On an average, the occupancy rates for the shows were in the range of 50-70 percent. The total collection of the movie in Chennai now stands at Rs 14.59 crore. The film has made record-breaking collection in many theatres. Rakesh Gowthaman, the MD of Vettri Theatres, announced that the film has struck gold in their halls. "#2Point0 becomes the highest week1 grossing movie of all time in #Vettri ... (3D charges not included, only ticket price) Hattrick by #Thalaivar - @shankarshanmugh combo #2point0epicblockbuster #RGBLaserInVettri. [sic]" he tweeted. 2.0 was released on November 29 to a massive hype and the movie registered fantastic opening in Chennai. On the first day, it did a record-breaking collection as it collected Rs 2.64 crore. In the next few days, the film performed well to end its first-weekend at Rs 10.09 crore. Shankar's creation is estimated to earn around Rs 18 crore by the end of its second weekend at the Chennai box office. On the other hand, the first week collection of 2.0 has crossed Rs 70-crore mark in Tamil Nadu. The second-weekend collection plays a crucial role in its success at the box office.